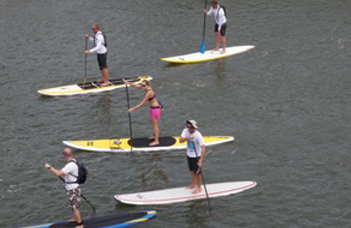 Activities - Tidal Trails - Open Year Round! 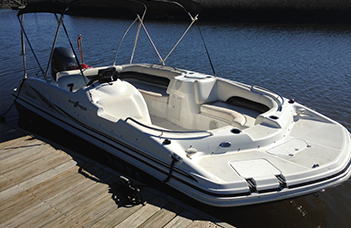 Our comfortable 6 passenger 19 ft. power boat is the perfect platform to sit back, relax and enjoy an intimate, tour of our beautiful barrier islands with friends and family. Our U.S.C.G licensed captains are delighted to share their knowledge and experience with you. 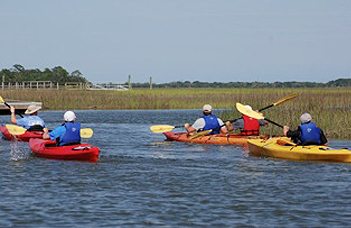 Kiawah Island's surrounding saltwater creeks offer the perfect playground for a kayaking adventure. 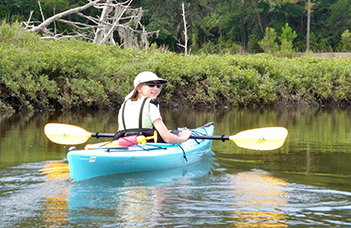 Our comfortable, stable touring kayaks offer the perfect way to have an up close encounter with wildlife and discover this relaxing outdoor activity. If you have been out on Tidal Trails guided tour, or have had lessons with our instructors you may want to try an adventure by yourself. We have the gear you need! PREVIOUS EXPERIENCE IS REQUIRED. Must be 18 to rent equipment. There is nothing like the sensation of gliding on an ocean wave. We have been teaching surfing on the island for over a decade. Kiawah boasts 11 miles of pristine beach located just south of historic Charleston, South Carolina, it's a great place to learn! 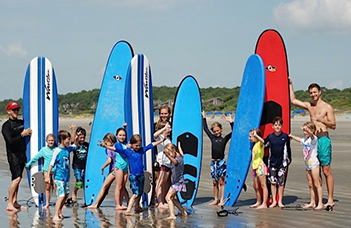 We are dedicated to making your child's experience with surfing positive, safe and fun. Our small groups offer more personalized instruction and are led by trained instructors. 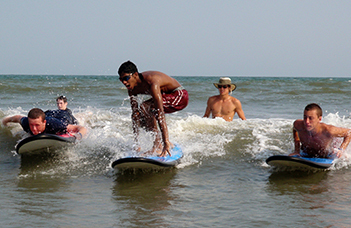 Your child will learn the fundamentals of surfing (board handling, positioning, paddling, pop up techniques) as well as surfing etiquette, marine biology, and water safety.